Breakfast, you have no doubt been told a million times, is the most important meal of the day. It seems that for many people, however, a million times hasn’t been quite enough. A 2015 survey showed that 376,000 New Zealand adults skip breakfast on workdays. So we’re going to reiterate the importance of breakfast one more time, and give you our list of the seven best breakfast foods. A wholesome breakfast meal serves a number of vital functions. It jumpstarts your metabolism, meaning that you burn more calories over the course of the day, and it provides the necessary energy to get started in the morning, aiding focus and perseverance. The period between dinner and breakfast is the longest we go without food, so, when we wake up our blood sugar levels are at their lowest. Your brain and body need a top up in order to work optimally. A good breakfast replenishes blood sugar, making it essential if you want to function properly throughout the morning. Breakfast is clearly important enough to warrant waking up 15-30 minutes earlier – as hard as we know that can be! But it’s not just about eating breakfast – eating the right breakfast is of equal importance. 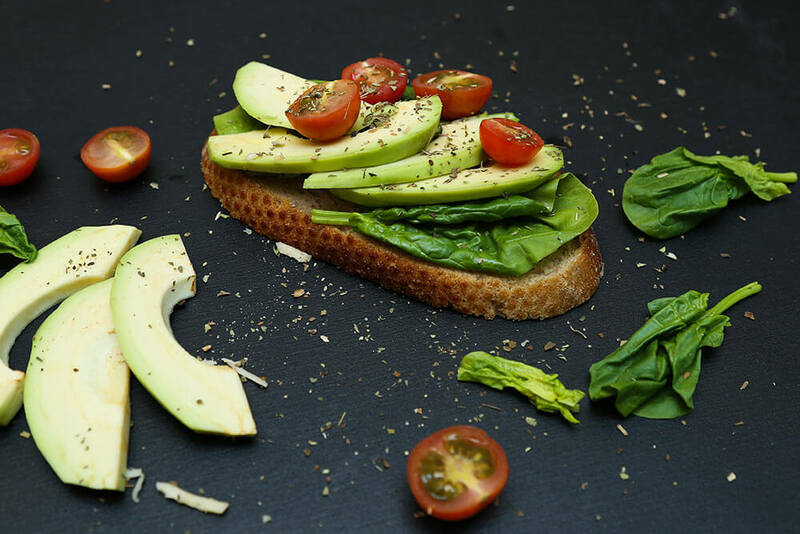 You want a good mix of carbohydrates, protein, healthy fats, and fibre. Carbs provide energy straight away, while protein releases its energy slowly, meaning you stay motivated throughout the morning. Fibre keeps you feeling full and therefore less likely to make impulsive, unhealthy eating choices later in the day. With these things in mind, try to include some of the following foods into your daily breakfast. Oats contain beta-glucan, a type of fibre that’s been shown to help lower cholesterol. Additionally, oats are rich in omega-3 fatty acids, folate, potassium, and antioxidants. Steel-cut oats contain twice as much protein and more fibre than rolled oats or instant varieties, but most types of oats are going to be a healthy addition. Just avoid flavoured oats, as these are often loaded with processed sugar. If the oats don’t pack enough flavour for your taste (and they probably won’t), add some fruit and sweeten with honey. Do be careful if you have coeliac disease or gluten sensitivity. Although oats themselves don’t contain gluten, they’re often processed alongside grains that do. Researchers have found that most oats are contaminated with other grains. Bananas are a great food! You can have one by itself, or slice it up and put it in a bowl with something else. Oats, perhaps? It’s a great way to add a little natural sweetness to your breakfast, and one of the very best sources of resistant starch, a healthy carbohydrate that leaves you feeling full and satisfied, for longer. Like oatmeal, bananas are a top source of potassium, an electrolyte that aids in lowering blood pressure. Try to eat bananas when they’re still a touch green, as that’s when they pack the most nutrients. In addition to being creamy and delicious, Greek yogurt is a healthy, nutritious addition to any breakfast. It has more protein than ordinary yogurt, which reduces feelings of hunger and is perfect for getting your metabolism up and running again. In addition, many Greek yogurts are full of probiotics which are essential in for keeping your gut healthy and balanced. The label of your yoghurt will state clearly if it contains probiotics, so keep an eye out. Nuts are great for adding some texture and crunch to your cereal, but (provided you do not have a nut allergy) there are even better reasons to consider them as a complement to your breakfast. Nuts are high in magnesium, potassium and monounsaturated fat (the kind that is good for the heart), and studies have shown them to decrease the risk of heart disease and inflammation: https://www.ncbi.nlm.nih.gov/pubmed/24607303. Although nuts are high in calories, it has been shown that our bodies don’t absorb all the fat in them – perfect. To top it all off, they’re tasty and, like the previous suggestions, leave you feeling fuller for longer. Berries, as you might know, are full of antioxidants. Some of the antioxidants, such as anthocyanins, are known to do a great job protecting your heart. Berries are also higher in fibre than most fruits (raspberries and blackberries contain a rather impressive eight grams of fibre per cup), while also being lower in sugar. Berries present a much healthier option for sweetening your breakfast than processed sugar. Consider combining them with the previous four suggestions for a super tasty, nutritious breakfast. In addition to being one of the best sources of protein (three large eggs provide roughly 20 grams of high-quality protein) studies have shown that breakfast eggs are great for losing weight by reducing calorie intake at the next meal. They also aid in maintaining steady blood sugar and insulin levels and the yolks contain lutein and zeaxanthin, antioxidants that reduce instances of eye disorders like cataracts and macular degeneration. Don’t sabotage those eggs with nutrient poor bread! Although all breads will contain carbohydrates, the sort of carbohydrates you chose makes a big difference. Look for bread made of wholegrains. This same logic applies whether you’re buying toast, bagels, English muffins or anything else. Breads of this type contain more fibre and nutrients than their pale counterparts, and they’re tastier too! 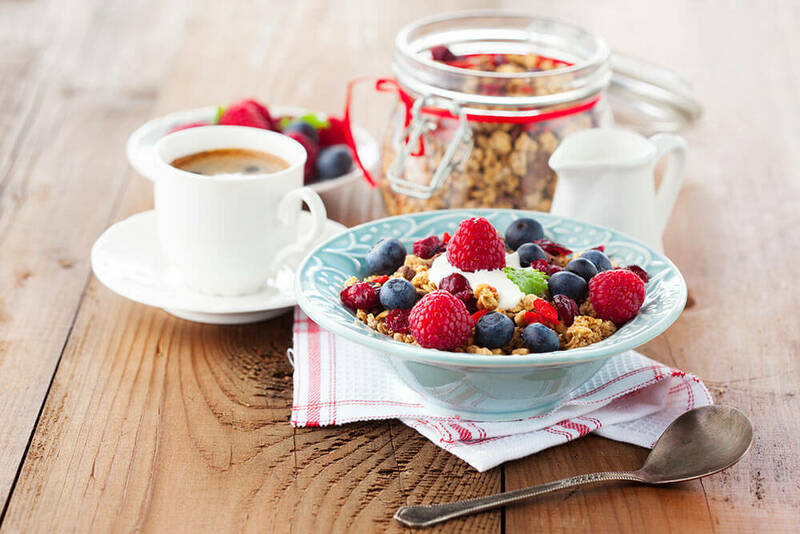 If you’re guilty of skipping breakfast on occasion, try to make that extra time for yourself – it’ll pay dividends later in the day, and perhaps later in your life. And don’t forget to tell us what you think of our best breakfast foods. What are your favourites? Next PostPROCRASTINATION? KICK IT TO THE CURB!